How long did your last cooker do its job for before starting to play up? If it was a range cooker or a freestanding cooker, chances are it didn’t last as long as some other appliances in your kitchen, such as your washing machine. Our latest Which? reliability survey has found incredible differences in the lifespans of our home appliances. Range cookers are the least reliable, compared with other appliances. We found that 42% of the range cookers reported upon in our survey experienced a fault within 10 years of use. That compares with just 12% of hobs and 14% of washing machines. Our research also discovered which brands are most and least reliable. You can find these out by following the links in our league table below. Kitchen hobs are reliable products. Very few of those covered in our survey experienced any faults within 10 years of use. And the problems that did occur were typically minor ones that could be fixed with regular maintenance or by replacing a relatively cheap part, such as an ignition electrode, which costs around £10. Cylinder steam cleaners are also reliable products, although because these are a newer type of product our data only covers up to seven years of use. In contrast, more than four in ten range cookers suffered a fault within a decade of purchase – that’s despite customers telling us that they expect range cookers to last 16 years fault-free. More than 40% of these faults were graded by the owner as either major or catastrophic, meaning that they were likely to require getting the appliance fixed or even having it replaced. That’s worrying when range cookers can easily cost well over £1,000. Our research also shows how the different types of product compare over time, and how quickly they tend to go wrong. 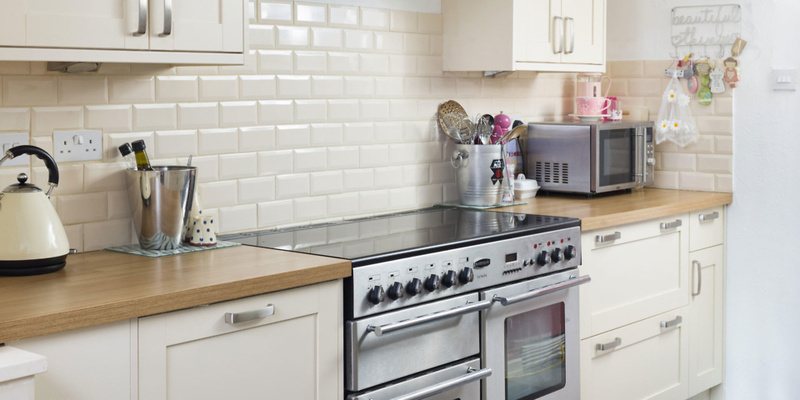 A quarter of range cookers suffer a fault within just two years. But freestanding cookers aren’t far behind, with 22% experiencing an issue in the same period. If you’re buying one of these appliances, you should definitely hang on to your receipt, as there’s a good chance you’ll need it. It’s also worth looking for manufacturers and retailers that offer two-year warranties. When it comes to wondering whether you should pick Bosch or Beko, Samsung or Siemens, our research also found big differences between the best brands producing appliances that were far more reliable than those from other companies. For example, we found that only 6% of washing machines from one company and just 7% of vacuum cleaners from another brand had developed a fault after 10 years use. If you spend hundreds of pounds on a new home appliance, you’d expect it to work well and offer many years of happy use. But we found that price is no guarantee of quality and that the most expensive brand isn’t necessarily the best one. For example, the Which? members we surveyed told us they spent well over £700 to buy fridge freezers made by one well-respected company. Yet our survey results – combined with data from our lab testing – shows that fridge freezers from a rival brand are typically cheaper, last longer and offer better performance. It’s a similar story for hobs. Customers buying hobs from another well-known brand spent on average £679, but they’d have got a more reliable one from a rival brand for around half the price. To find out which fridge freezers and hobs are worth buying, head to our guides on the top 10 fridge freezer brands and the top five best hobs. To discover which products are built to last, we asked 9,069 Which? members about the home appliances that they own. We used this data to calculate reliability scores for 15 product categories, based on the number of faults the products experienced, the severity of these faults and the age of the product at the time. Our analysis also enabled us to generate reliability scores for individual brands, allowing us to recommend the manufacturers that make products that won’t let you down. Our reliability data runs to three years for cordless vacuum cleaners, five years for steam mops, six years for steam cleaners, nine years for built-in ovens and 10 years for everything else.